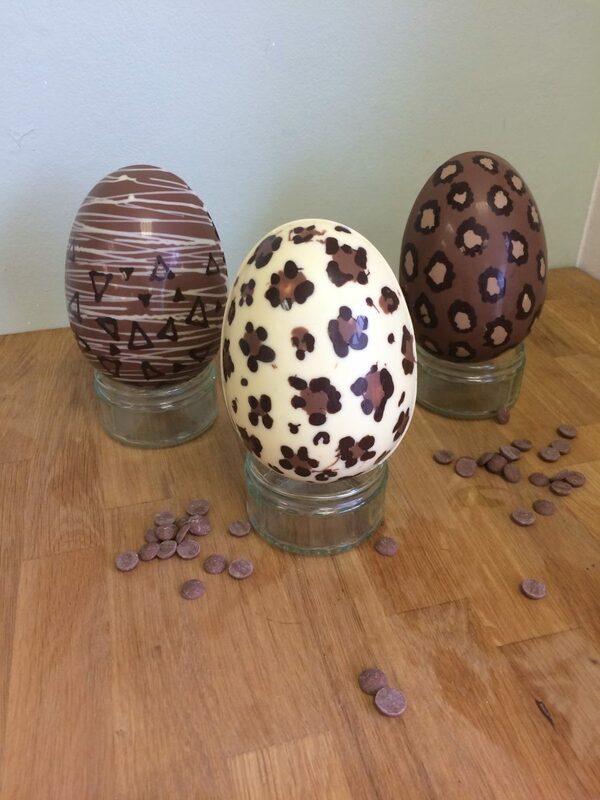 During this Easter special workshop, learn how to create a perfect moulded Easter egg with that snap! Using the finest quality Callebaut milk, white and dark chocolate you will be shown how to hand pipe your own creative design into the mould. We will then show you how to create a moulded egg as you flood your design with delicious smooth chocolate and then sandwich together to create the egg! In addition to the Easter egg, you will also make some simple chocolate truffles, a wonderful surprise inside your beautiful hand-crafted egg!